Seller will give you a gift certificate in the amount of 2,98 RUB for a positive review of the product purchased. 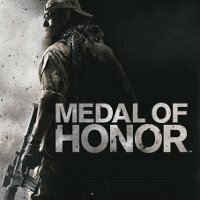 Medal of Honor - continuation of the cult series of shooters from Electronic Arts. At this time, the developers will allow us to feel in the role of the US commandos caught in modern Afghanistan. The game´s plot will unfold around a real-life hero - a soldier from the US Army special unit Tier 1 Operators. The emphasis on realism, developers do fighting what they help consultants from the United States military structures. A new enemy. A new war. And the new heroes. Tier 1 Operators. * Single and multiplayer modes to the game make two different studios. The single-player campaign has been EA Los Angeles, and online battles - EA DICE, known to us for a series of Battlefield. Buying from us, you get officially distributed in Russia activation keys of your favorite games. Beware of fakes! The key is you get immediately after payment (if you suddenly close the window, all purchases can always be found at - http://oplata.info/). It is officially distributed in Russia digital keys (do not require "scan", "drive", and so forth. Paraphernalia of the last century). 1. Create an account on EA link https://profile.ea.com/acctcreate.do If you already have an account, you can go directly to step 2. 2. Download and install EADownloader http://www.gamemarket.biz/downloads/eadm-installer.exe After activation key in it, download and install the game. Please note that downloading the game will happen to the European servers! Seller will give you a gift certificate in the amount of 2,98 RUB for a positive review of the product purchased..